About Us : E-Stim Systems | EStim | Electrostim | Electrosex | Electroplay, Personal electro stimulation with a professional touch. Did you know we have actually been around for quite a while. 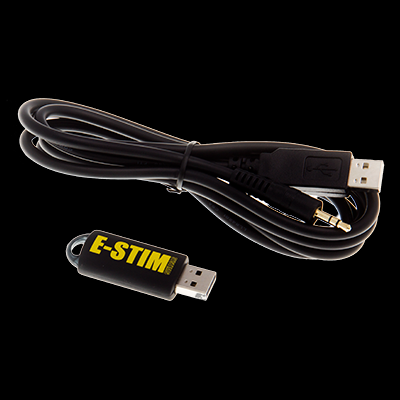 Ever since our humble beginnings in a garage back in 2004, we have been working to create the ultimate in E-Stim technology. We are proud to be a UK manufacturer - We actually manufacture around 95% of our products here in the UK, unlike some other companies who seem to import everything from the Far East and then 'assemble' them. Manufacturing in our own workshops allows us complete control over the quality of our products (did I mention our lifetime guarantee), as well as giving us the ability to be innovative and develop new ideas - In fact we have more industry firsts than anyone we know. Some companies may rely on meaningless techno terms in an attempt to blind you with science as to why their products are better or safer than others, but then they possibly spend more on advertising than they do on their product design. We just let our experience, and the facts speak for themselves. From a safety perspective we design and build our products to conform to number of British/EU standards designed to cover product safety, electromagnetic compatibility and medical grade TENS units, but then we also use our products in our own play, giving us a level of experience and knowledge unsurpassed by any other company. We even scare ourselves when we work out the number of combined years we all have in actively playing with our units, and e-stim in general, but it does give us a unique insight as to what works and what does not. We make E-Stim units. These are not TENS units, mass produced in a chinese factory for the lowest possibly cost. We are based in the UK, and keep a large proportion of our our manufacturing capacity on site, giving us the ability to control quality and design at every level. We created the worlds first dedicated audio driven control unit, the ABox, the worlds first E-Stim Remote with a built in motion sensor, the first ballistic curve electrodes (The Magnum Family), the first electrodes with a RibbleHead design The Deviant Family, and we also produce the worlds largest commercial produced E-Stim electrode - The Decimator. We also are the creators of the 2B, the only upgradable e-stim powerbox in the world with an open source control system and the ability to offer control from a PC/Mac or over the internet. To top it all of we are also the first, (and still the only) E-Stim company in the world to offer a lifetime guarantee on both our power units and our entire range of premium electrodes. We lead, we listen, we innovate and others still try to catch up!! We don't offer pretty packaging backed by overpriced marketing. Our toys are created to be durable, effective and they really do work - we know as we actually play with them ourselves. You won't find them on every shelf in an adult chain store, just a few independent stores dotted around the world - stores that are known as we are for service, quality and above all having fun.